Bill’s practice focuses on transactional work, litigation, strategic counseling and innovation in the following fields: IT, IP, Health Care, cybersecurity, Cloud, outsourcing, technology services, AI and IoT. In the emerging field of data law, he was named by Global Data Review and Who's Who Legal to "Thought Leaders in Data 2019." Health Care is an early adopter of emerging technologies, and Bill uses leading practices from that field to provide client advantages in other industries. Chambers found that Bill has “broad strengths” in handling the IP and technology aspects of M&A and corporate transactions. He is a sought-after advisor on adopting and leveraging new technologies. Bill is recognized by Who's Who Legal as a "font of knowledge for creating new IT structures" needed to leverage innovative technologies. Chambers says that Bill provides “savvy, zealous representation” and “understands the market and uses his expertise to help [clients] successfully navigate negotiations. Clients and legal researchers endorse Bill as “a brilliant lawyer;” "brings extremely high integrity, a deep intellect, fearlessness and a practical, real-world mindset to every problem;” "and “no issue is unfamiliar or too complex or intimidating [for him] take on” (Chambers); “one of the best IP lawyers I have worked with” (Clean Tech Guide); "has expertise in technology transactions that put him at the very top of the market;" "is a font of knowledge on creating new It structures;" "has formidable expertise in cybersecurity and data licensing and is considered one of the leading names in the domestic market;” and "has strong litigation experience" (Who's Who Legal). According to a national leader of a leading outsourcing consulting firm, “Bill is an exceptionally capable lawyer and thought leader and at an operational level knows how to take the friction out of [agreements] while working with consulting firms, in-house lawyers and IT teams and the vendors. 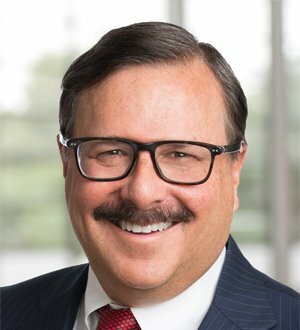 He has a reputation in the industry for his collaborative approach, for identifying and focusing on the major issues to bring time and cost efficiencies to the deal, and for his knowledge of IP."